Let’s imagine that you have found some fellow writers who are eager to participate in a critique group, the ground rules are set, and you are ready to get to work. The next question is: what should you critique? This question is not as simple as it seems. Different genres of writing require different techniques and ingredients. Even within a specific genre (e.g. the short story) there are a multitude of acceptable conventions and variations. My personal feeling is that if you want to be a better writer and a better critic it is really important that you READ widely. If you like to write short fiction pick up anthologies of short fiction at used bookstores. Short stories do not usually make it to anthologies unless they are distinctive and high in quality. If you are a writer of detective novels, read widely in the detective genre. I can’t understate the importance of this. To be able to offer helpful criticism it is important to understand the field of possibility in each genre, and not to be constrained by unhelpful ideas about what a short story or a detective novel must be. Do not, however, let a lack of expertise constrain you too much. We are all learning, all the time. Some of the most helpful criticism I have ever received has been based on very simple observations, like “I have no idea what motivated that character to jump in front of that bus.” As a non-expert critique group we can offer each other much that is useful, even if we aren’t professionals. Think of this process as just one step on a long journey. In an ideal world, eventually, you will be putting your work in front of a bona fide editor—at this stage you are just getting it ready and addressing glaring problems that any careful reader would notice. Below are some guidelines for critiquing short stories. In my next post we will delve into looking at longer pieces. This is not an exhaustive list by any means, but it will be enough to get you started. For a short story to be interesting, something has to happen. This event does not have to be dramatic or earth-shaking, but the reader should feel that something at the end of the story is different than it was at the beginning. I know this sounds facile, but we sometimes lose touch with this basic requirement. Of course there are huge variations in how the plot is revealed and sometimes as readers we don’t realize what has occurred until the very last paragraph. Sometimes what happens is simply the character having a moment of realization or insight. The key though, is that something has changed. Does the story open with an interesting scene? Did you feel intrigued and curious or bored and irritated? Is there conflict? Usually the key to the plot is having a character with a desire, plus an obstacle, plus some action. The obstacle is the conflict. If the story has a number of scenes do they all play an important role in the plot. Are some of them just background. Are there any that could be excised? Were you disappointed with the climax or the turning point of the story? Did you feel that the revelation or change was completely predictable? Were you still engaged at the end? Whose point of view is the story told from (first person, third person etc). Does the point of view remain consistent from start to finish? Is the character in the story believable? Why or why not? Does he or she feel like a cliché or a stereotype? Is her behaviour consistent with what we know about her? Does she have a unique voice? Is she interesting? Do we care about what happens to her? Does the way she speaks reflect her age, gender, and socioeconomic status? Is her voice consistent from beginning to end? Do her motivations make sense? Does the dialogue contribute to the action in the story or distract from it? Does it sound real? Is it interesting? Is it clear which character is speaking in a conversation? Do the scenes have a sense of place and time? Are sensory details provided? (See Janis’s posts on opening to the senses). Does the setting play a role in the story? Is it easy to visualize where the scenes are taking place? Technical Achievements (I am clumping together a whole bunch of skills for the sake of brevity). Is the story revealed via actions/scenes or does the writer tend to summarize and “tell” the reader what is happening? Is there enough tension to keep us reading? 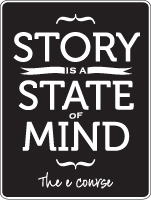 Is there something in the story that we can relate to as readers? Is there a theme (e.g. loneliness) or a concept that makes us think or feel? Does it feel preachy or teachy? Does it feel like the reader’s intelligence is respected or does the writer hold our hands through every detail? Does the style or form make sense for the story? Would it be better from another point of view? How is the actual writing technique? Does the writer use simile, metaphor, good vocabulary choices? How is the spelling and grammar (you can address this very generally, or you can go line by line depending on what you’ve agreed on). What was your overall impression? Did the story feel too long? Too short? Did it feel complete or did you feel like you might have missed something? Was the story believable (and by this I mean, did it have some logic to it, even if it is set on the planet Guimauve in the year 3000)? PS This is a pretty broad overview. If you notice any important omissions, please leave them in the comments below. PPS The previous posts in this series are about starting a critique group and the mechanics of running a successful group. Our next writing retreat will take place on day, Sunday April 27, 2014. We hope you can join us. And if you’d like to subscribe to our monthly newsletter, click here. The books and the setting photo are by Janis McCallen. The “meeting” is from Bigstock and the “character” is the one I live with (I’m assuming his Mom or Dad took the photo).